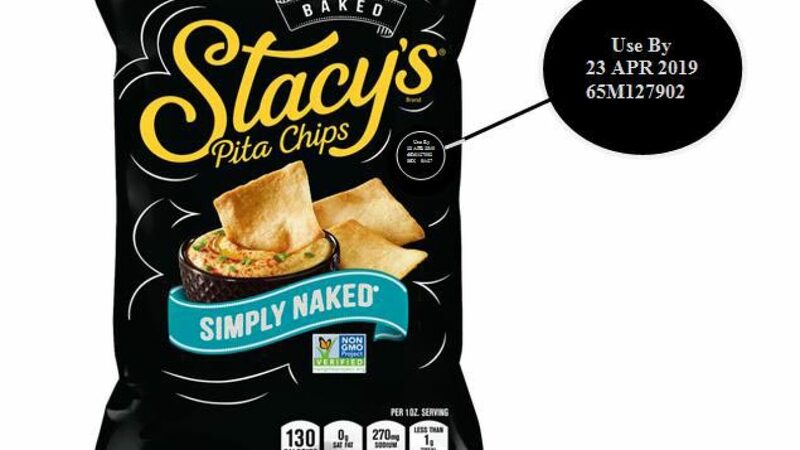 Another one bites the dust: Stacy's Simply Naked Pita Chips. 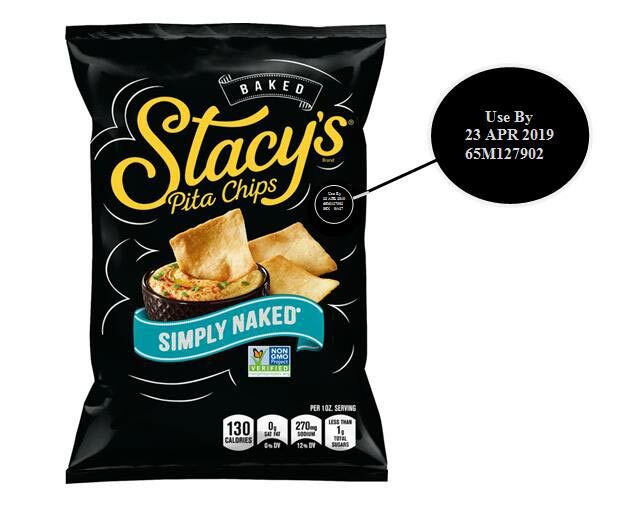 Frito-Lay has voluntarily recalled Stacy's Simply Naked Pita Chips out of concern that the product may contain an unknown milk Ingredient. No other flavors have been recalled. Approximately 228 of the 7.33-oz. bags were unknowingly made with a different ingredient containing milk. Those who have a lactose allergy are advised not to consume the product. People who have an allergy or severe sensitivity to milk run the risk of a serious or life-threatening allergic reaction if they consume the product contained inside the recalled pita chips bags. The numbers are located on the top right side of the bag as seen in the photo. Customers who purchased the product can return it to the retailer for a refund or contact Frito-Lay Consumer Relations at 1-800-352-4477 -- they are open Monday-Friday, 9 a.m. to 4:30 p.m CST. For more information, check out the full Frito-Lay press release here. There has only been one reported allergic reaction -- let's hope there are no more! Have you consumed the product and have a milk allergy? Did you return the product for a full refund? Let us know in the comments below. Another recall: 1.7 million vehicles are being recalled for faulty air bags. Learn more here!